(Courtesy of Tim Peterson | LightHawk) Red Canyon on the west side of Cedar Mesa in southern Utah was once a busy uranium mining district. The BLM has approved an expansion for the idled Daneros Mine in Bullseye Canyon, pictured in the middle distance of this aerial photograph. Energy Fuels Resources wants to extract 500,000 tons of uranium ore over 20 years from the mine, just outside the former Bears Ears National Monument, but it says it can't mine until uranium prices rebound. The Bureau of Land Management has issued final approvals for two uranium mine expansions in southeast Utah, including one on the backdoor of what used to be Bears Ears National Monument. Bullseye Canyon, the site of uranium deposits tapped by the Daneros Mine, had been included within the boundaries of the monument proposed by five Indian tribes, but was left out by the Obama administration when it created the monument in December 2016. Although its Utah mines are idled in the face of stagnant uranium prices, Energy Fuels Inc. has sought to expand at Daneros and La Sal, north of Monticello, in anticipation of resuming operations. It may be years before mining the uranium is economically viable, but La Sal’s vanadium, found with the uranium, is a different story. The La Sal operations feature four mines: Beaver Shaft, La Sal, Pandora and Snowball. Ore extracted from the mines would be processed at Energy Fuels’ White Mesa mill, the nation’s last operating uranium mill south of Blanding. Those mines also contain vanadium, which Energy Fuels hopes to mine soon thanks to an uptick in the price of the metal used to harden steel and alloys. In decisions signed last week, the BLM’s Utah state director Ed Roberson approved the expansions, but with several conditions. Daneros and the La Sal complex were studied in recently completed environmental assessments, concluding the projects would result in no significant impacts. Environmental watchdogs chided those assessments for minimizing the environmental and public-health risks of expanded uranium production. 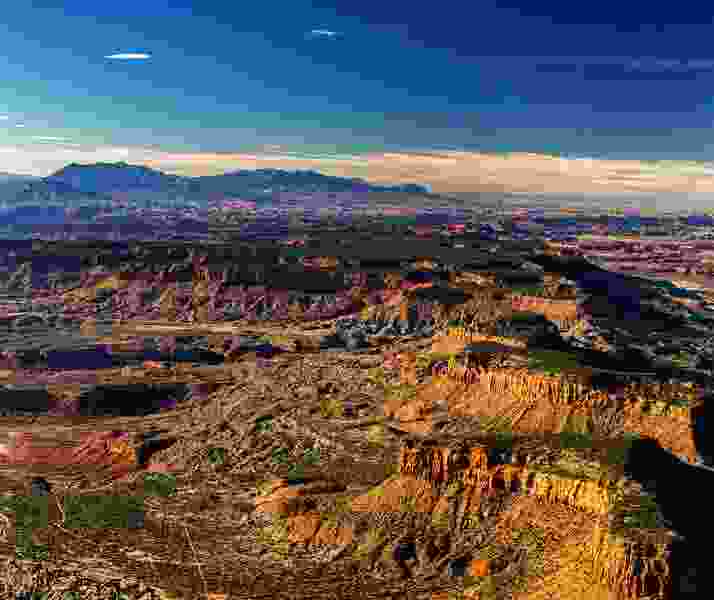 “Rather than taking a hard, independent look at the environmental effects, the [La Sal study] in many instances relies on incomplete and misleading data and information and minimizes the level and extent of the impacts,” a consortium of groups, led by Uranium Watch, wrote in their formal comments. The groups voiced suspicions of the BLM’s reliance on radiology expert Douglas Chambers and his Canadian-based firm SENES Consultants Limited because of its association with the mines’ previous owner. Before they were idled in 2012, the La Sal mines shipped between 85,000 and 92,000 tons of ore a year to Energy Fuels’ mill at White Mesa outside Blanding, making up most of the mill’s processing operations. The Daneros Mine began operating in 2009 and yielded 121,000 tons of ore before going on standby three years later after the Fukushima nuclear disaster in Japan. The tiny mine is served by two decline portals and two ventilating shafts, with surface impacts limited to 4.5 acres. The BLM’s recent decision expands that to 46 acres, with eight new ventilation holes and new facilities at its two portals. Production would increase from 100,000 tons to 500,000 tons over 20 years. In 15 daily trips, ore would be trucked over Cedar Mesa and through the newly named Shash Jaa Unit of the reduced Bears Ears National Monument to the White Mesa mill. The Grand Canyon Trust and its allies argued the Daneros expansion warranted a full environmental impact statement, given its proximity to the national monument and legacy of environmental contamination associated with the industry. “This is part of a pattern of letting mining companies occupy public lands and sit on contaminated sites without reclaiming them,” said Anne Mariah Tapp, energy policy adviser for the Trust. The Ute Mountain Utes, whose White Mesa community is just a few miles down gradient from the mill, have long held serious concerns about the potential of the mill’s operations, which include waste storage ponds, to harm members. Unless prices rebound above $50 a pound, however, it is unlikely Energy Fuels will be able to mine uranium at Daneros. “We are not there right now. The world is oversupplied with uranium, but that situation is resolving,” Moore said. The nation’s 100 nuclear power plants consume about 45 million pounds of uranium a year, but only about 6 percent of that demand is met from domestic sources. While uranium deposits abound on lands that were formerly inside the Bears Ears monument, Energy Fuels has no intention of mining there, Moore said.